EM121 Rustbuster epoxy mastic BLACK 2L - ACT Performance Products - your source for after market TVR upgrades, components and performance accessories. 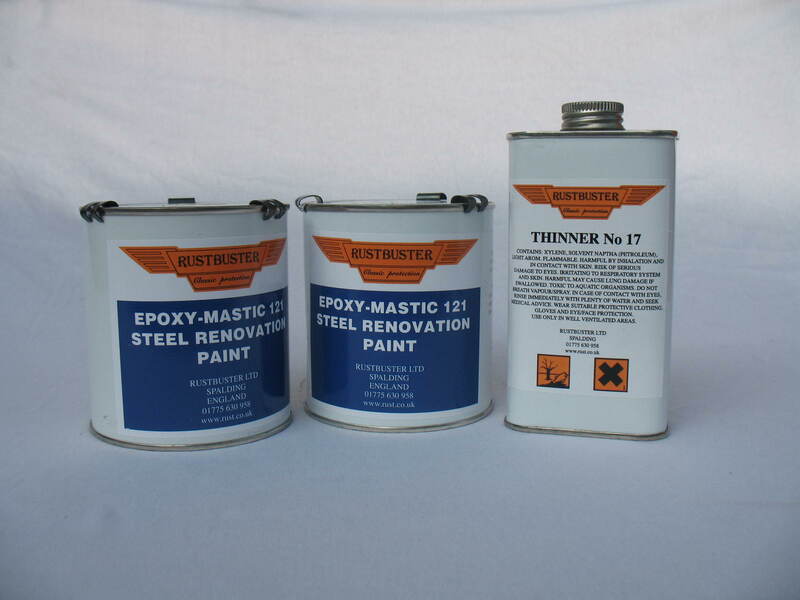 Epoxy -Mastic 121 is supplied as a two component mix complete with thinners. Equal quantities of component A & B are supplied with each available pack size ( Easy mix ratio 1:1 ). Starter and Chassis packs are supplied with 250ml of Epoxy thinners 5Ltr and 10 Ltr pack sizes are supplied with 1 ltr of Epoxy thinners. Packs are supplied with mixing instrucions. All colours can be over painted with single or two pack products.